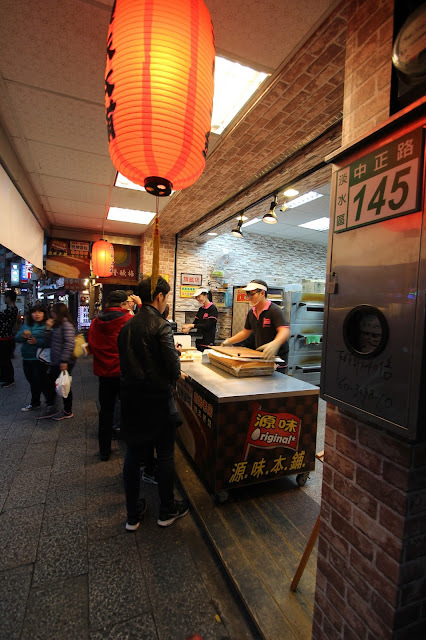 I visited Taiwan earlier this year and it was a great experience. Flight deals have been excellent - I suspect it's related to the current low oil prices, and there is no visa required to visit, which always makes it easier and cheaper to plan a trip somewhere. I found Taiwan to be a very nice country with great infrastructure, friendly people and fun places. It's a modern place that seems to always have a lot going on, but also knows how to relax, and how to shop! 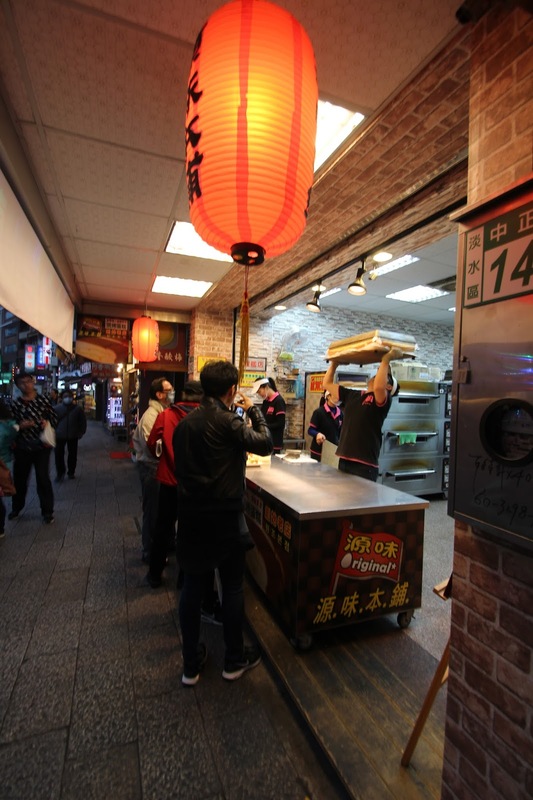 This walking street, and many other regular streets, are lined with shops and restaurants. I visited during the rainy season as well as avoided the Chinese New Year crush, which was nice because it meant fewer crowds. In Taipei, many of the sidewalks are covered so it's easier to get around in the rain. People that carry umbrellas, and there are lots of them, are courteous enough to fold down their umbrellas when they're not needed. I found that to be one of the many nice, little things about the place. 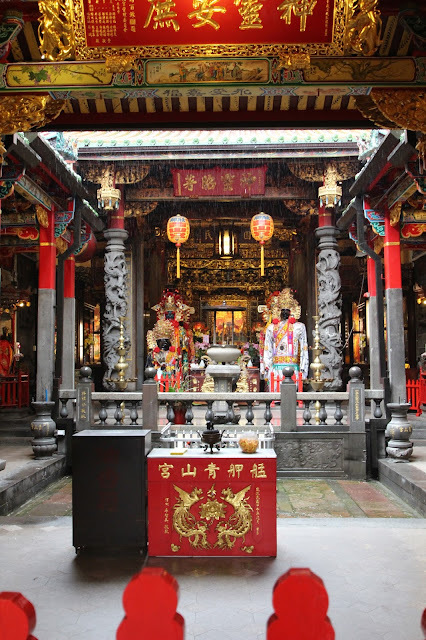 There are many temples in Taiwan. Some, like the one above - Chin Shan Dong Temple - are just tucked in between buildings. 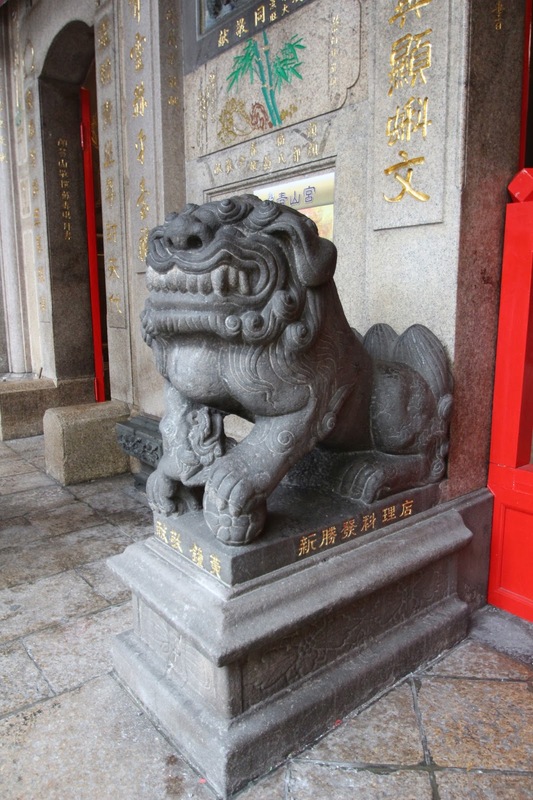 Others, like Longshan Temple, below, are much bigger and have many more features and visitors. Above, the inner courtyard of the temple is pictured, and below, a small waterfall is off to one side. The front of the temple faces a street and a metro station. It's free to visit and while lots of people are there to pray and give offerings, no one seemed to have a problem with me snapping some photos. I tried to stay out of people's way as best as I could though. Just down the road, there is a very small area of old style buildings on Bopiliao Historical Block, pictured above. I was expecting a bit more from this area. There wasn't anything in the storefronts above, so although the structures have been preserved, there's not much life or appeal in them for me. The area below, just across the street but still having some of that old flavor, was more vibrant. Taipei has many little local shops, which I loved (though there are also large and modern shopping malls here as well.) Above, the storefront of a cosplay shop is shown. I saw a number of these. There are a few green spaces in the city of Taipei. The one above is near a nice tea shop. On this particular I was just wandering around. Taipei is so big, I have not been able to find it again on a map even though I know the area I was in. What's pretty amazing about this place is that it contains many of China's national treasures. When Chiang Kai-Shek fled the mainland, he took all the artifacts he could with him to Taiwan. They are now housed here. Taking the metro all over the city was excellent. The trains run often, the system is extensive, safe, and it is well supplemented with buses. 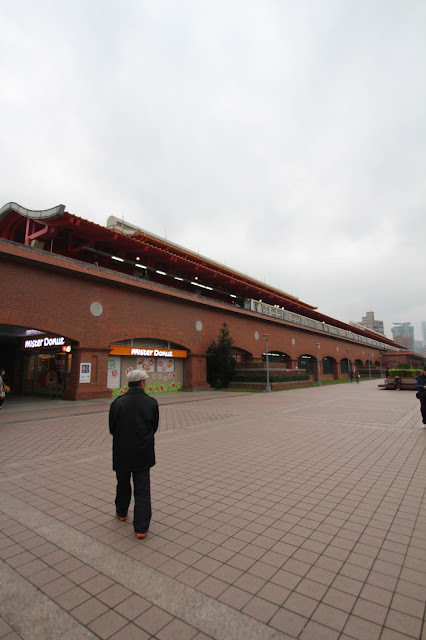 After I spent the afternoon at the Museum, I moved on along the same metro long to the end, in Tamsui. The station exits right onto a bustling waterfront. This turned out to be one of my favorite parts of the trip. It's a little touristy but there were lots of locals around too, and who cares? It's a fun place to walk around. This bakery is making a popular Taiwanese snack cake. The place across the street has quite a following, all the people below are in line. This is a funky old cafe with a cool wrap porch. 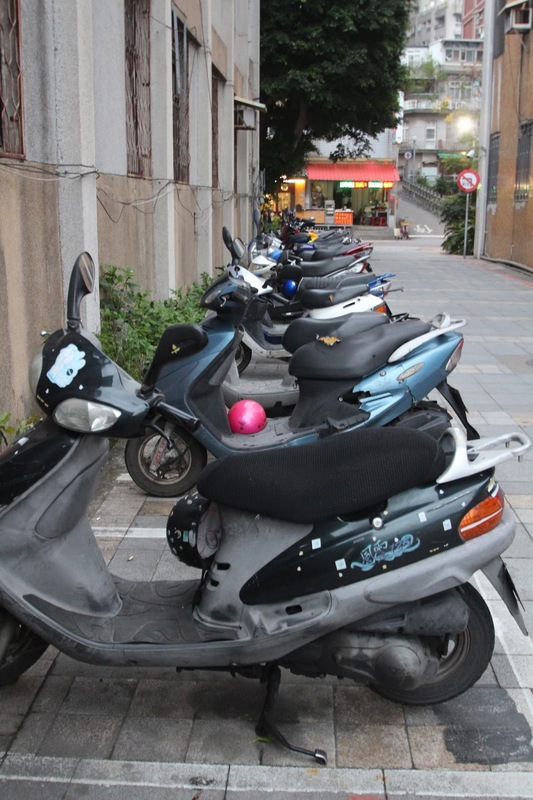 Scooters are ubiquitous in Taipei. 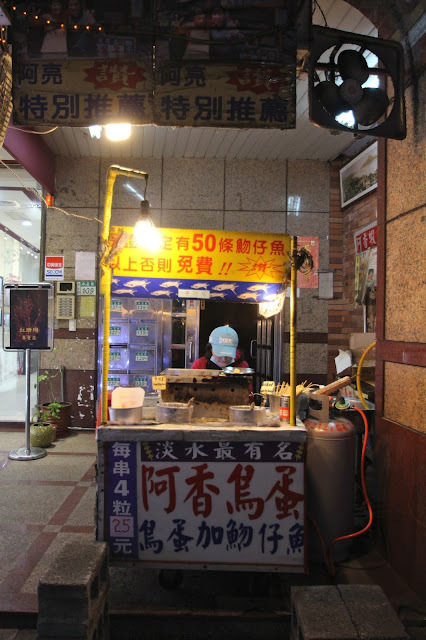 As night fell in Tamsui, the lights really came on. 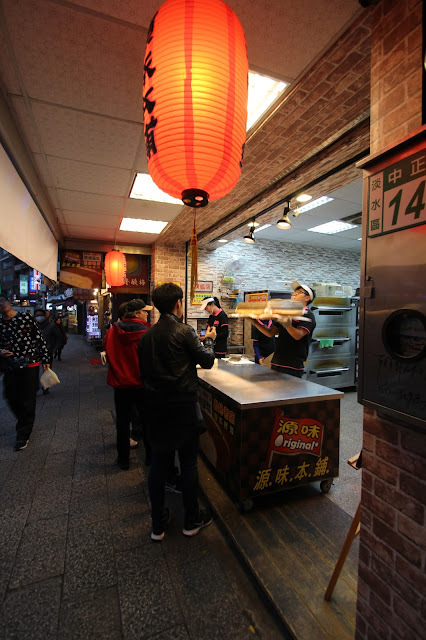 Street food is everywhere, and lots of it is very tasty. 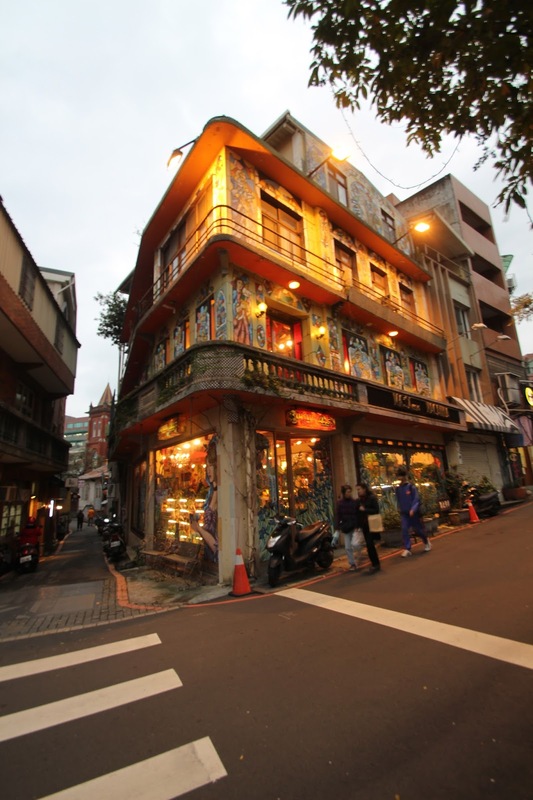 It was time to make my way back to the hostel, but we weren't done with Taipei yet. There was still more to come in this pulsing city.